The NHS could save £8.2 million a year on dental treatments – the equivalent to 364,000 dental check-ups - if all 12 year olds across the UK chewed sugar free gum after eating or drinking, thanks to the role it plays in helping to prevent tooth decay. So says a study involving researchers from Plymouth University Peninsula Schools of Medicine and Dentistry published in the British Dental Journal today, Friday 12 February 2016. Tooth decay is preventable but treating it is an increasing burden on the NHS and family finances. The latest Government figures show that young people in the UK experience unacceptably high levels of tooth decay and that it can have a real impact on their self-esteem as well as their health, with 35 per cent of 12 year olds reporting being embarrassed to smile or laugh due to the condition of their teeth. New health economic research published in the British Dental Journal demonstrates that the NHS could save up to £2.8 million on dental treatments per year if all 12 year olds across the UK were to chew one additional piece of sugar free gum per day. This cost saving raises to a potential £3.3 million if two pieces of sugar free gum were to be chewed per day by all 12 year olds and to £8.2 million for three pieces. This research is the first of its kind in the UK and was conducted by York Health Economics Consortium and Peninsula Dental School, University of Plymouth with support from The Wrigley Company Ltd.
Sugar free gum could be an easy and effective addition to families’ oral health routines. The British Dental Health Foundation recommends that, while brushing for two minutes, twice a day is still the best way to keep teeth clean and healthy, for children over the age of seven, chewing sugar-free gum during the day can be extremely effective in breaking down lingering food, neutralising harmful plaque acids and reducing the risk of decay. Chewing sugar free gum after eating and drinking increases the production of saliva, which helps to wash away food particles and neutralise harmful plaque acids which, over time, can weaken teeth and lead to tooth decay. It also promotes the remineralisation of tooth enamel. The important role of sugar-free gum in oral care is widely recognised and accepted by experts, dental associations and regulatory authorities around the world. The European Commission (EC) has approved five oral health claims for sugar-free chewing gum, one of the few food categories to gain such recognition. The oral care benefits of chewing sugar-free gum are also recognised by the World Dental Federation (FDI), and endorsed by the British Dental Health Foundation. Each week, more than 1 million patients in the UK use NHS dental services – many of them seeking treatment for dental disease, the consequences of which costs the NHS a huge £3.4 billion a year. A 2013 study showed that 34 per cent of 12 year olds surveyed in the UK had obvious decay in their permanent teeth, while other studies have demonstrated that poor oral health as a child or adolescent can lead to poor oral health as an adult, creating a potentially vast NHS cost throughout the patient’s lifetime, through the replacement of fillings and the implantation of crowns, bridges and prosthetics. 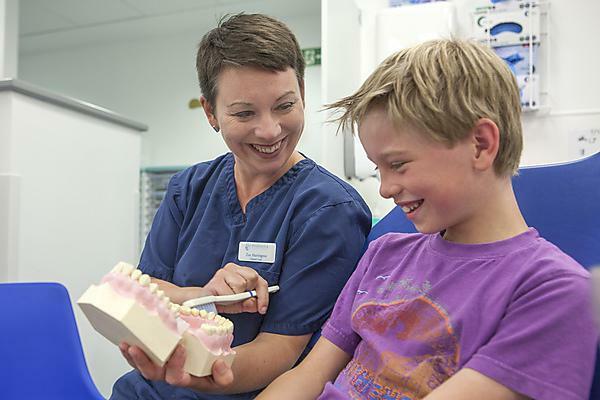 A recent survey of hygienists and dentists found that they are most anxious about the state of their paediatric patients’ oral health, with hygienists noting that teens were the second group of concern, making these age groups key targets for interventions. In the UK, official oral care guidance has rarely explicitly mentioned sugar free gum. However the evidence described above suggests that the potential benefits of including sugar free gum in preventative oral health advice should be considered. With the NHS facing a huge funding gap, new solutions – such as sugar free chewing gum – need to be considered to help tackle the totally preventable problem of tooth decay.